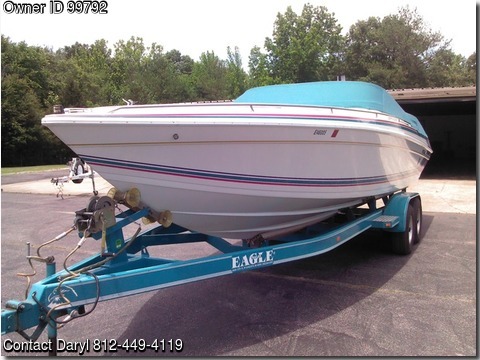 Boat is located in Boonville,Kentucky.Please contact the owner @ 812-449-4119 or darylvanwinkle@yahoo.com…27′ Formula Powerboat with cuddy cabin , 700 plus hp motor, upgraded lower unit with stand off box. Upgraded stereo system, sink, toilet never used, matching tandem axle trailer with upgraded bunk covers. In excellent condition .Email,call or text.